I've completely fallen in love with J.Lynne's foundation and matte primer - and it kills me because at US$18 and US$15 respectively, it isn't as affordable as my beloved Silk Naturals. However, the foundation and matte primer when used together provide full coverage with a gorgeous natural air-brushed finish, and most importantly, oil-control - that I longed for in Silk Naturals' Mineral Foundation. I came across this brand on the amazing Mineral Makeup Blog where they mentioned J.Lynne's clearing-out 50% sale on sample baggies (sadly, now ended). From the rave review on the foundation's finish, coverage, and oil-control properties I knew I had to at least give it a try. I bought the foundation in three shades, Fair Golden (0.9), Ivory Golden (1.5), and Ivory/Light Golden (1.9), the Mineral Matte Priming Powder in Peach, and the Mineral Finishing Powder in Golden. I was rather horrified at the shipping charge - US$11, until I read the FAQ and discovered that J.Lynne will refund surplus amount once the package has been sent. And I did receive a refund of US$8, plus three samples of her mineral glows and eyeshadow. J.Lynne has a comprehensive collection of almost 40 foundations shades running the gamut from cool - neutral - warm, from fair - dark. So finding a shade that suits you should definitely be possible. Of the three shades, both Fair Golden and Ivory Light Golden were a tad too yellow for me. Ivory Light Golden could pass in a pinch, but Fair Golden was very yellow indeed! Fortunately, Ivory Golden was just right (I feel like goldilocks). The foundation is a joy to use. You don't need much, and just one layer applied with my Bobbi Brown Kabuki brush was enough to even out skin tone and cover minor blemishes. Using a concealer brush I went over my undereye circles, and more stubborn blemishes, concealing them perfectly. The foundation felt lightweight and very comfortable. The finish was air-brushed, not as shiny as L'Oreal. but not as flat as Silk Naturals. I really loved this as I wanted enough light-reflecting particles to detract from my acne scars, but not so much that I glowed like a disco ball in the sun. It also proved to be oil-controlling and long-lasting when used with the matte primer. I only needed to blot once in a long evening out (unheard of! 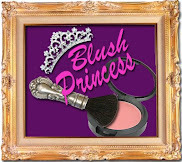 ), and my eye-makeup and blush stayed fresh and in place all night. The foundation on its own without the matte primer does provide pretty good oil control, better than either Silk Naturals or L'Oreal. At US$18, it isn't as good a deal as the SN foundations, but it remains a more affordable buy than L'Oreal's foundation here in the UK. I just hope I can hold out till the site has another sale or offer on its foundations. This primer comes in three shades - Porcelaine/Fair, Peach, and Ivory/Light. I chose to apply this with a foundation brush as I really wanted a high degree of oil-control. The primer provides a certain degree of coverage, and I found the Peach shade brightened my complexion and disgused minor blemishes without altering my skintone. If you have oily but clear skin, you may be able to just use this primer and skip the foundation. This primer - used with the foundation - is a dream come true for me. Until now, this degree of oil-control has been something that I long for, and dream of but have never quite found. Even Milk of Magnesia gave up on me once summer hit, but this foundation and primer controls like nothing ever has before. Used with another, less oil-controlling foundation, the primer does control oil, but once the oil broke through, it all went downhill from there. I had to blot and powder like normal every 2 hours or so, something I found unnecessary when the primer was paired with J.Lynne's foundation. The primer can also be used as a finishing powder, providing a matte not-quite translucent finish. However, like most mineral products, once it's settled into the skin, the primer becomes more translucent and the foundation is allowed to shine through. Golden, should have been called yellow! Or "Banan" like the famous yellow powder by T.L'Clerc. The powder proved to be quite translucent however, although too yellow to be paired with J.Lynne's foundation in Ivory Golden. But I can see it being useful for correcting foundations that are too pink or orange, and for brightening up the undereye area. The finishing powder was light and airy, but no better (as far as I can tell) than Silk Natural's finishing powder. It provided the same slightly diffused look, and didn't provide much oil control. One thing going for this product though is the wide range of colours. Available in flesh tones as well as colour correcting shades of Mint (for red tones in cool girls), Lavender (for orange tones), and Olive Green (for red tones in warm girls), the powder can also be used as a colour correcting primer. If I'm still as in love with the foundation and primer when my samples run dangerously low (each sample lasts a week, I - with great foresight - bought two of the matte primer and will be mixing the foundations together to make them an acceptable shade I can use for longer) I will probably invest in a full-sized foundation and primer, but give the finishing powder a miss as I don't need it. 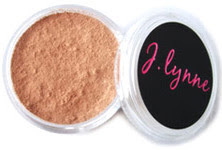 If you'd like to give J.Lynne cosmetics a try, simply enter RET87452 in the coupon code box at checkout for a 10% discount for first-time shoppers. You should know that this is a referral code and will benefit me when you use it.